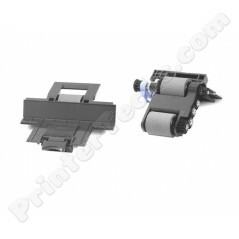 HP ADF Roller Maintenance Kit , includes ADF paper pickup roller assembly and separation pad assembly. For use in the HP Color LaserJet CM6030 MFP, CM6040 MFP, CM6049 series printers. Genuine HP parts. Alternate part# CE487A, Q3938-67969, Q3938-67999, Q3938-67944 .